Credit cards come with numerous perks—cash back on everyday purchases, travel and emergency assistance and built-in fraud protection, for example. But arguably the best perk is the 0% introductory interest rate offered by some cards, with no interest charged on your purchases or balance transfers for a specific time period. That doesn’t mean all zero-interest cards are created equal. Some come with better features and terms than others, like larger signup bonuses, rewards for spending, longer zero-interest promo periods and a better interest rate after the promo period has ended. Here are five questions you should ask about your 0% APR credit card right now. 1. When does the 0% APR expire? No-interest credit cards are only interest-free for a limited time. This period typically lasts anywhere from six to 18 months, depending on the credit card. It’s absolutely vital to know the exact date when your 0% APR period ends. This way, you can pay off the entire balance you’ve racked up before the card resets to its regular rate. By doing this, you have essentially turned your card into a short-term, interest-free loan, which is a pretty sweet deal. 2. What is the APR after the 0% APR expires? It’s also important to know the ongoing APR on the card, in case you can’t pay off the credit card balance before the zero-interest period ends. This figure can range anywhere from 12% to 25% or higher, although it will depend heavily on your credit score when you open the account. If you think you’ll carry a balance, strive for the lowest APR possible. Even if you already have a card, you can still try to negotiate a lower credit card rate. 3. Is there a signup bonus? A few no-interest credit cards also offer free money to new customers for meeting a spending threshold. However, this doesn’t mean you should charge everything to your card just to get the signup bonus: Spending more than you can afford just for the sake of the bonus can leave you with unnecessary debt that lasts long after the intro APR period has ended. 4. Is there an annual fee or a balance transfer fee? What good is a zero-interest credit card if it comes with a substantial annual fee? Some cards will allow you to avoid this fee if you spend a certain amount on your card each year, while others might waive the fee entirely in the first year. Paying the fee might still be worth it, if the benefits of the card outweigh the cost—just make sure you’re getting a good deal compared to other cards. This is also the case when it comes to balance transfer fees, which refers to when you pay off the balance on an existing card by transferring the debt to the new card. Average balance transfer fees range from 3% to 5%, but a higher balance transfer fee can be worth it if the 0% intro period is longer and allows you to pay off your debt without having any interest charged. 5. Will a late payment trigger a higher interest rate? Remember, just because you have a no-interest credit card doesn’t mean you can stop making payments. If you miss a payment, you’ll not only get hit with a late fee and have a negative mark on your credit history, you’ll also likely lose the 0% APR promotion and have to start paying interest right away. To avoid this, you can set up automatic bill pay to cover the minimum payment each month, or set up an e-mail reminder. 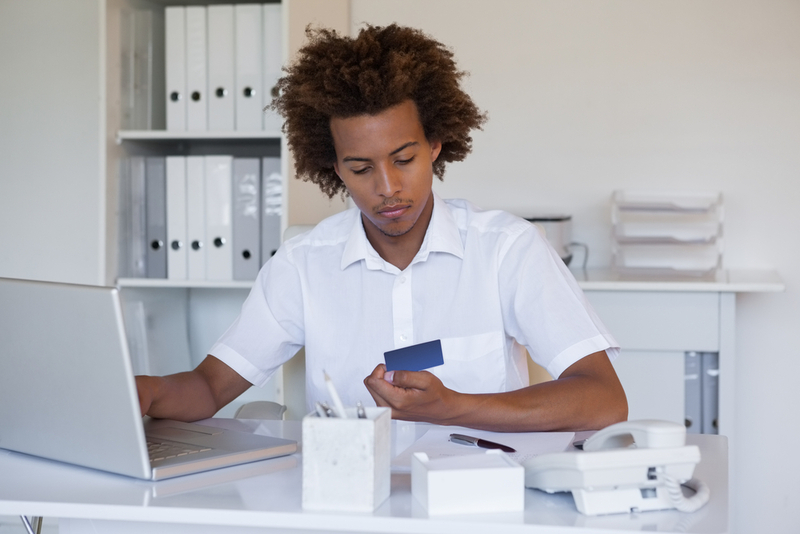 A zero-interest credit card can be very useful for consolidated existing credit card debt or making a large purchase. Just make sure you fully understand the terms and conditions of the card, and ask the credit card company if you’re unsure of any details.